HarperCollins is proud to present its incredible range of best-loved, essential classics. “In a moment I was clutched by several hands, and there was no mistaking that they were trying to haul me back . . . You can scarce imagine how nauseatingly inhuman they looked – those pale chinless faces and great, lidless, pinkish-grey eyes!” An English scientist regales his dinner guests with the tale of his travels to the year 802,701, where he discovers that the human race has evolved into two distinct societies. The Eloi, elegant and peaceful, yet lacking spirit, are terrorised by the sinister, light-fearing Morlocks, who live underground, surrounded by industry. And when his time machine mysteriously vanishes, the scientist must descend to the realm of the Morlocks in order to find his only hope of escape . 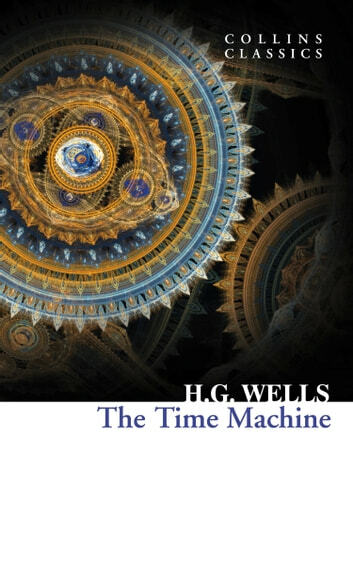 . . H. G. Wells is considered a founding father of modern science fiction, coining the term ‘time machine’ and popularising the idea of time travel in literature.